The virtual store wall in a South Korea Metro Station by Tesco/Homeplus was last year big hit. Now the concept has evolved, and World’s first virtual shopping store – using the walls of Seonreung subway station in downtown Seoul – displays over 500 product, ranging from food to tissue papers. Customers can choose the delivery time and date – for orders placed before 1 p.m delivery can be effected the same day – and delivery cost is the same as more traditional online stores. We are sure consumers in Far East markets – like Korea and Japan – welcome this kind of technology and are at their ease with mobile barcode scanning and m-payments, but what about all the other markets? Would for istance consumers in France or Spain quickly adopt this kind of purchasing behaviour? What is your opinion about this? Are pop-up stores a way for fighting retail recession? We have already talked about pop-up stores a while ago, but a recent news about Walmart opening pop-up stores hit our attention not because of their being “pop-up”, but because the American giant decided to create small pop-up stores to face the upcoming holiday demand, driving it from a physical location (the pop-up store) to Walmart.com. While Walmart customers will be able to purchase high margin gift solutions directly from the store, they can also pick up items ordered from the retail giant’s website and pick them up in the store with no delivery charge under the Site-to-Store and Pick-Up Today programs. The stores, located in Souther California, which bear signs reading Walmart.com, opened November 2 and are expected to remain open through December 31. Unlike its recently launched Walmart Express or its Neighborhood Market small-format stores, this new concept does not feature food or other convenience products. A growing number of shoppers are in fact using technology to research and purchase gifts. These test stores are an interesting way to let shoppers research and buy online with the option to “get it now.” The highly targeted assortment and short-term leases are a low-risk way for Walmart to reach new shoppers and capture shopping occasions it may not otherwise have access to. 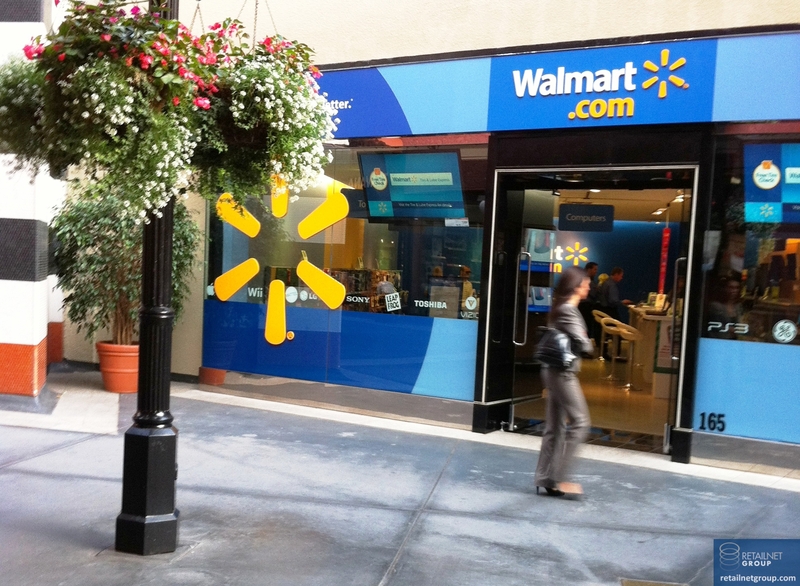 Maybe most importantly, the pop-up stores could drive shoppers that don’t currently shop at Walmart (or Walmart.com) to the retailer’s website. Last month Econsultancy surveyed 2,000 consumers in the UK and 2,000 consumers in the US, to unearth attitudes to multichannel shopping and service. 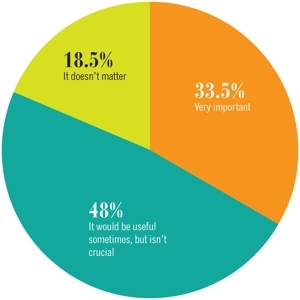 The majority of consumers would find it useful to have a choice of retail channels, and a significant 33.5% felt this was very important. 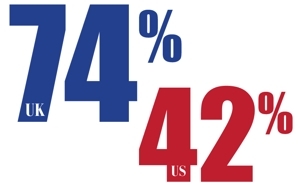 The results were very similar for both US and UK respondents, so the charts show aggregated data. How important is it to be able to purchase from a retailer using different channels? Quite a difference between US and UK consumers, with the latter far more likely to reserve items for in-store collection. Many of the biggest multichannel retailers in the UK are offering this service, (Argos, John Lewis, Halfords etc) with some success. For example, Argos’ multichannel sales grew to £1.9bn in the year up to February 26 2011, representing almost half (46%) of its total sales. The reserve and collect iPhone app accounted for 1% of total sales. Do you reserve products online before collecting them from an offline store? The use of mobile when shopping offline represents a growing challenge for retailers, as these stats show. 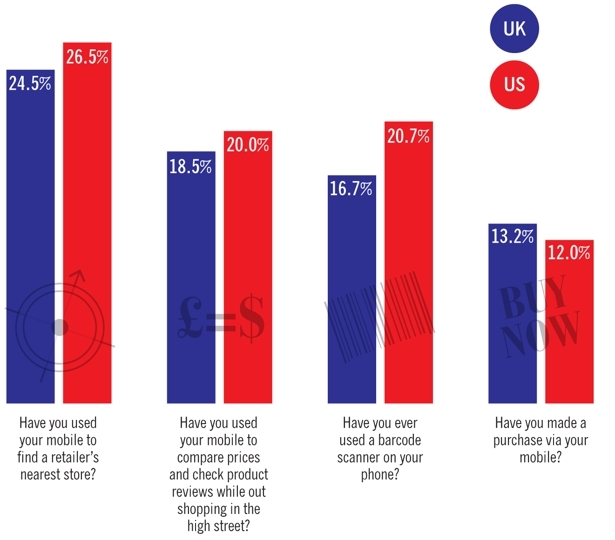 US consumers are slightly more likely to use barcode scanners and compare prices via mobile, but a significant minority of US and UK respondents are using mobile as an offline shopping aid. Multichannel returns The vast majority of both US and UK respondents expect to be able to return items bought online to a local store. However, as Snow Valley’s recent Online Returns Report found, just half of the multichannel retailers studied allow customers to do this. 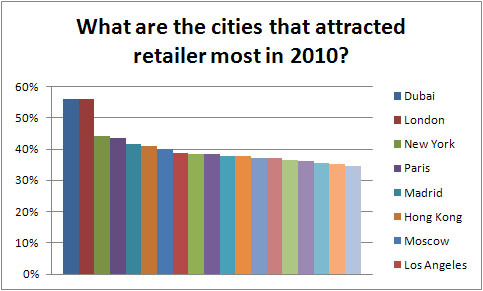 If you buy something online, do you expect to be able to return it to a local store? Mobile consumers do prefer in-store purchasing, a research says. According to JiWire’s research 79% of mobile consumers are ‘comfortable’ making purchases from smartphones or tables, even for products over the $1,000 threshold. Mobile shoppers are most likely to make purchases under the $1,000 threshold with about half saying they’ve made purchases over $100. Only 20% report making a purchase over $500 through a mobile device. However, more important than those actually making mobile purchases is the fact that researchers believe mobile shopping is actually leading to more in-store purchasing. While many mobile shoppers logon to branded websites, many may be simply looking for product information, pricing or to check the availability. From there, they are going to brick-and-mortar stores to complete their purchases. GoldRun is a new platform for retailers that matches mobile, Augmented Reality and social. Enjoy this video, comments are welcomed! Though few retail grocers offer home delivery of web orders, a survey from the Food Marketing Institute, a grocery industry trade organization, suggests that consumers respond more to web grocers that offer to deliver online orders compared with grocers that require pickup at their stores. In 2010, 32% of consumers responding to an FMI survey said their primary grocery store offered online ordering, and 28% said they had done at least some online ordering at those grocers. 4% said they shopped online at those grocers one to three times per month, and 2% said at least once a week. But 22% said they shopped online at those grocers less than once a month, with another 73% saying they never shopped there online. By comparison, the FMI survey showed that only 17% of respondents said their primary grocery store offered home delivery—but 13% said they ordered home delivery one to three times per month, and 5% said they did so at least once a week, higher figures than for when home delivery was not an option. 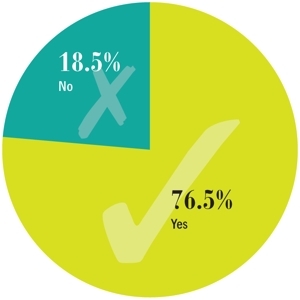 17% said they ordered home delivery less than once a month, leaving 65% saying they never did. Regardless of the demand for it by consumers, however, home delivery of groceries isn’t for all retailers, experts say. “Home delivery is only going to work for really big folks with profitable online grocery operations offered in places where the retailer has a reasonable density of customers,” says Jack Horst, a retail strategist at retail industry consultants Kurt Salmon. The category of “really big folks” surely includes Amazon.com, the largest web-only retailer, and Wal-Mart Stores Inc., the world’s largest retailer and the leading U.S. grocery merchant. Both Amazon and Wal-Mart are experimenting with home delivery of groceries. Amazon’s program, dubbed AmazonTote, has been tested by the company’s employees in Seattle for the past six months or so. In its infancy, the service entails weekly delivery of groceries and other items to the user’s home, with the groceries bagged in reusable tote bags, all free of charge. According to The Financial Times, the service is linked to Amazon’s Fresh grocery delivery service, which currently only operates in the Seattle area but is available to all consumers in that area. Fresh offers fresh produce and meats in addition to non-perishable grocery items; the service goes beyond food, too, ranging from pet supplies to beauty products and other Amazon.com categories. Granted, the convenience is reflected in the price — would you pay $2.50 for a single grapefruit under any other circumstances? — but you get what you pay for, which in this case amounts to a lot of time and energy saved. On the other side, the “Walmart To Go” test , just launched in California last Saturday, allows customers to visit Walmart.com to order groceries and consumables found in a Walmart store and have them delivered to their homes, a company’ spokesman said. 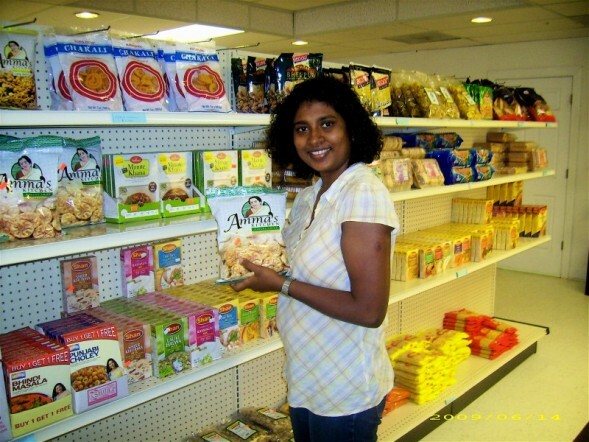 Products include fresh produce, meat and seafood, frozen, bakery, baby, over-the-counter pharmacy, household supplies and health and beauty items. Wal-Mart also offers a Pick Up Today service, which is limited to select electronics, video games and appliances. The majority of grocery retailers still prefer store pickup of online orders, as MyWebGrocer* CEO Rick Tarrant says. But if the Wal-Mart and Amazon test will prove to be successful, we are pretty sure that at-home delivery will be the next big trend.